National Thank Your Mentor Day!! Check out http://www.hsph.harvard.edu/chc/wmy/Thank_Them/intro.htmland publically thank your mentor. You can then refer them to that page, click on the "Read Stories" button and navigate to find your note by their last name. Almost 5 years ago, Sammy Case’s mentee found herself growing up faster than most children her age. Her mom was constantly working to support the family and did not always have the time she wished she could to spend with her daughter. Sammy’s mentee could do little else besides watching television. That all changed when Sammy became her mentor. Throughout their time together, they have tried many new things and developed a strong relationship. Sammy and her mentee enjoy going to Blenders, playing games such as backgammon and checkers, going to the movies, and walking on the beach. Through her patience, dedication and care, Sammy has inspired her mentee to branch out in many ways. Her mentee now plays soccer on the high school team and has shown academic improvement, ultimately leading to a tremendous growth in self-confidence. She entered the program as a young girl without a strong purpose. Now she is a mature, confident, young adult. Sammy’s dedication and “can do” attitude has played a significant role her mentee’s life. For this and so much more, we thank you Sammy! 3. Print out flyers or our past newsletters. Post them around your office, your place of worship, or simply hand them out to your friends. You can find Obama's official proclamation here. Drop by our office if you'd like copies of our brochures! 4. Refer others to our YouTube page: www.youtube.com/user/cadasantabarbara and watch our mentor program videos! 7. Acknowledge the mentors in your life. Head to http://www.hsph.harvard.edu/chc/wmy/Thank_Them/intro.html and publically thank your mentor. You can then refer them to that page, click on the "Read Stories" button and navigate to find your note by their last name. January 21st is National Thank Your Mentor Day. 8. Ask others to support your mentoring relationship. The national average cost of making and supporting a mentoring relationship is about $1,300 a year. That's a little over a $100 a month and about $4 a day. Any little bit helps and it allows us to continue providing services to as many youth as possible. 9. Instead of gifts, ask for donations to the Mentor Program. Have a birthday coming up? Ask your friends and family to donate to our program in your honor. 10. Make your presence known. Does everyone in your life know that you are a mentor? If not, why not let them know now? Post something at your desk that says, "I'm a mentor. Ask me why." Start up conversations in the break room about fun activities you've done with your mentee when you get back from your meetings. Simply put, Spread the Word!! Tell your friends about our upcoming mentor recruitment events!! All who attend will be able to learn more about what's involved in becoming a mentor with us and how they can help out! Appetizers and refreshments will be generously provided by Venoco, Inc.
Appetizers and refreshments will be generously provided by Lito's Mexican Restaurant. Hope to see you there! If you have any questions, feel free to contact Anna Lubin at 963-1433 x104 or Juliana Lee at 963-1433 x113. 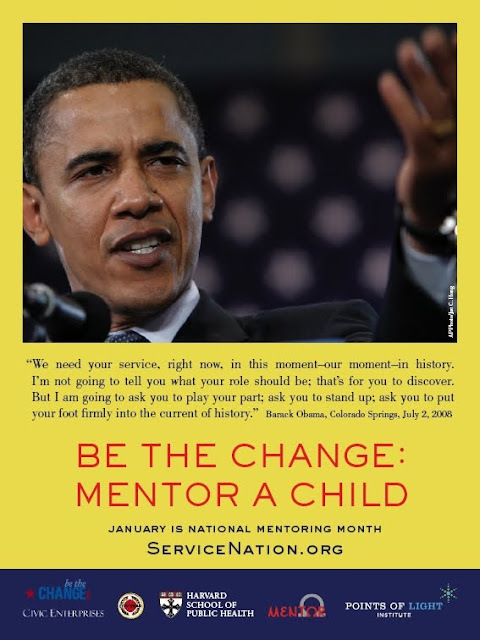 January is National Mentoring Month!! Spread the word about mentoring to everyone, everywhere!! Mentoring not only enhances the lives of the young people, it enhances those of their mentors as well and provides a great sense of satisfaction in knowing that they have inspired someone to do what they might have never imagined they could. There are many students in our community who would greatly benefit from having a mentor and many adults who have what it takes to be that person! For further information on mentoring and the national mentoring month, see the links below. The First Tee is a program of the World Golf Foundation. The program provides youth from age seven to seventeen an opportunity to develop character education, life-enhancing skills and values, through the fame of golf. Through the First Tee Life Skills experience, youths participating in the program learn valuable lessons and life skills, including: the importance of maintaining a positive attitude; how to make decisions by thinking about the possible consequences; and how to define and set goals. In addition, and of central importance to the program, participants are taught how values such as honesty, integrity, responsibility, respect, confidence, judgment, perseverance, courtesy and sportsmanship apply to every day life. Utilizing a curriculum based on established educational and psychological principles and taught by highly qualified and skilled instructors, The First Tee is having significant success in capitalizing on golf's ability to teach core human character values to the young people who participate in our program. We provide lessons that not only will have a lasting positive influence on their character and their lives, but also will educate and motivate them to become responsible and productive members of their communities. The young people proceed through 3 levels of formal Life Skills instruction: Par, Birdie, and Eagle. The Par level focuses on fundamental communication and self-management skills. The Birdie level deals primarily with goal-setting. The Eagle level provides participants with advanced instruction and practice in mastering Par and Birdie level skills, as well as conflict management, mentoring, and career planning. To progress in the program, participants must demonstrate that they understand and can apply the core life skills by answering written questions and performing various skills for an instructor. When they meet the certification requirements, the children progress to the next level. Mentors can stay and encourage and support their mentees during that time.